H.P. Lovecraft’s haunted city was never precisely located on this planet, but its imagery soaked with legends, witch hunt and a mental asylum materialized in the shape of a club in Xuhui in Shanghai, a booming area which was formerly part of the French Concession. These concessions were areas in China, Hong Kong and Macau, where foreign governments could exercise power and most of them enjoyed extraterritoriality. In plain terms, a form of colonialism. My eyes were wide open for signs of historical weight. No surprises, I exulted when I had the chance to go to Arkham club for the launch of a new label called Silk Road Sounds—so many threads to develop from this name—out of this event organized by YETI OUT, a club promoter putting up parties in Shanghai, Hong Kong and London. They stress how “creative tribes from the East and West continue to intertwine both online and offline” and in January 2018 they released the first volume of a compilation series which includes “varied odes of Eurasia,” from Turkey to Japan, to Vietnam and obviously China itself. Delf’s live set brought us to Hong Kong and had a strong visual impact. Images were vivid and conceptual, with references to themes such as time, work, and urban landscape. Although the genre references of the night were evident, a grimey hip hop and its branchings crossed all the sets, it was pretty powerful to find one of the resident djs playing in this Chinese club, backed by projections of American black rappers. It is not as obvious as it could appear, and this shared global set of visual references is pushed by the culturally curious and globally aspirational post-90s generation, which mainly make the crowd in this club. Chinese millennials, young people who were born in the 80s and 90s, have a population of around 415 million, roughly 30% of China’s total population, which is also 90 millions more than the entire population of the US. The world’s view they have is going to influence the shape of the future, through their choices as consumers, as they don’t have the option to take choices in politics. It is important to make the effort to understand China, at least because the figures declare that Chinese people’s preferences will have implications for everybody. With this scenery in mind, there is a form of intellectual craftiness which is needed while taking a leap into little known worlds, because the human mind tends to activate several cognitive bias and take on reassuring mechanisms which would like to imply that our schemes of understanding are reliable even in front of different conditions. The size of China, in terms of geographical extension, population, background history and economic power contributes to surround it with the allure of an anonymous and kowtowing mass, often considered undecipherable, like its language. This illegibility provokes more than often a polarization in opinions about China. But is China this indistinct? China raises aversion in many people with libertarian values and a blind excitement in many others. We already got it dangerously wrong. In the Sixties, many European communist intellectuals espoused Maoism because their need for alternatives—which we share as we are looking for alternatives—made them tripping and assuming a selective gaze. Edoardo Sanguineti, one of the founder of Gruppo 63, an avant-garde Italian literary movement, remembered «I fell in love with Maoism, it represented the hope of a non bureaucratic socialism, not tyrant, dynamic, and it appeared as the only alternative for those who had little sympathy for capitalism and strong doubts about the Soviet Union. Mao was a good reference point for those who wanted to change the world, starting from the most impoverished areas, as China was, and which had become the legendary place of equality and justice». Natalia Aspesi, feminist writer now in her late 80s, recalls how in the Seventies the leftist bourgeoisie was attending l’Opera at La Scala in Milano wearing Maoist-collar shirts. The wording “cultural appropriation” had not been coined yet. When I decided to embark into this journey through clubs and music producers, I wanted to fill the space between these extreme poles and get a sense of reality, of real thrill and real fear. I wanted to feel the social and political fabric by digging into real people accounts. I wanted to challenge preconceptions and embrace a level of analysis which doesn’t stick to oppositions: I was looking for material for descriptions. We need to break the stereotype in every direction: China is stimulating and exciting, walking in the streets of Shanghai is an infusion of energy; China is also scary and disturbing, experiencing the limitation of freedom of expression can support the worst nihilistic view of the human society. We have the urgency, a neon-lighted awareness, to enjoy the opportunities offered by a connected underground and in my opinion this line is recognizeable in music too. Inevitable to look at Fatima Al Qadiri, who produced her 2014 Asiatisch, a hyperbolic album which supports the dismantlement of clichés by putting them on stage in a way which is extreme for its evidence. Asiatisch identifies the problem in a univocal and simple way: transcultural art collaboration is a minefield. Inhabiting it and acting in it is a way to push it forward. Shanzhai Biennial went on with its project and presented “Shanzhai Biennal no. 2”, with actress Wu Ting Ting wearing a sheath dress which reproduces the graphics of the Head and Shoulders shampoo bottle (and, no doubt, the name of the brand is misspelled as head & shouldars) and lip-syncing to a mangled Mandarin version of the incomparable heart wrenching hit from 1990. Fatima Al Qadiri also went on with her project and released the track, titled Shanzhai (for Shanzhai Biennial) with the leading singing by Helen Feng, key figure in the Chinese music scene since she moved from Los Angeles to Beijing in 2002 and founded the rock band Nova Heart. 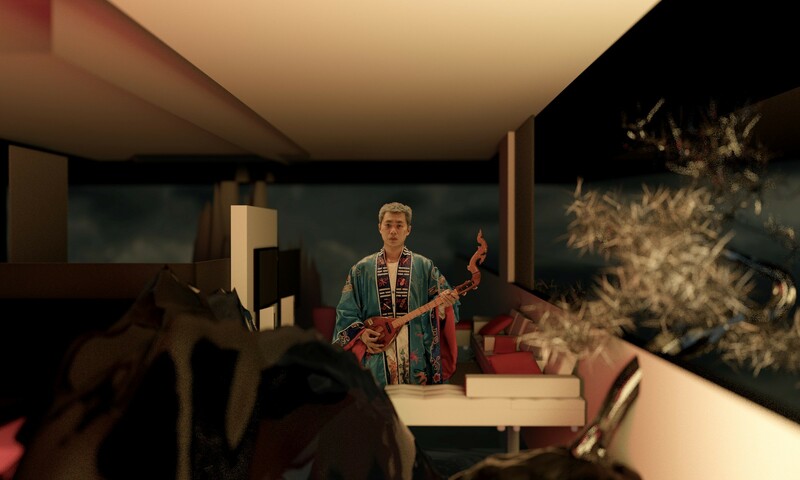 The story behind this track and the fake stories written afterward (the lyrics in Mandarin are not really making sense, although they are the literal translation of the original lyrics), delivers this idea of an Imagined China, “not just a collection of dislocated stereotypes, it is an environment, a value system, a very rich and disturbing narrative” Fatima Al Qadiri explains. This global culture is based on meanings arising precisely from jumps back and forth between different cultural frames, and sometimes they are literally reflected images. The Chinese youth is facing epochal changes in the economic and social structure of their country, which are reflected on the most intimate structures of their lives, such as family life and personal aspirations. The challenge lies not only in deconstructing tradition and constructing a new one, but in the fact that changes occur at such speed that there is no time to decipher them and have generations understand each other. In China it is said that a generation lasts 5 years, after which the vision of the world and the scale of values changes. Aristophanes (Pan Wei-ju) is a singer and mc from Taiwan. She collaborated with Grimes on her track Scream and Grimes produced 人為機器 (HUMANS BECOME MACHINES). “I have been really longing to escape from my family for years. I need to build my own life. I don’t know if this is a problem with Western families, but it is a big problem for Asian families.” she says in an interview with the Young Post. Her family doesn’t know about her career in music, they think she works as a school teacher. In many conversations I had during my time in China, it seems like compromising is the most manageable strategy to keep on with these present times. The foundations of the Forbidden City spread over 180 acres in Beijing. Power, solidity, history, prestige pervade the brightly coloured buildings, the open spaces with delicate needle-shaped evergreens, the corridors between red walls. Chinese history is indeed a tornado of exaltation. I feel lucky to be here. I text Howie Lee while roaming around and he tells me he has some time to meet me today. I get into a taxi. Traffic is intense to reach Wagas, a restaurant in the fancy neighbourhood of Salintun. “You’re lucky to find me in Beijing, I moved out of the city.” I can’t agree more, and again I feel lucky today. Howie is confident, ambitious, straightforward, sharp. It’s a pleasure to chat with him, as one of the most established local producers. He was playing at the very first ever Boiler Room in China, in April 2016, and at the Douban Festival, in May 2017, he shared the stage with Alessandro Cortini, Andy Stott, Actress, to name some of the international highlights which were featured in possibly the only festival of this quality in the entire country. Only one edition so far, as apparently the crowd is still too small for this kind of line-up. After a year spent in private, Howie Lee came back with a new EP, Natural Disaster. Many changes occurred in his life, he moved back from Taipei—where he stayed on & off for a couple of years—to the outskirts of Beijing with Veeeky, his wife, taiwanese vj and collaborator. Disasters are part of the natural landscape of life, and Howie’s attitude seems to suggest that a simple pragmatic answer is to deal with them. In this EP, Howie Lee has created a continuum between ancient atmospheres, built by instruments with a sound that emerge from the dawning of human history, and a blend of distorted voices and rythmic variations that evoke a world in progress. He tells me that it came as a natural thing to listen more and more to psychedelic music from the past, Middle-Eastern sounds, American jazz from the 60s like Don Cherry. He also spent words to praise the Indian music tradition. He had the chance to travel there thanks to the invitation of Magnetic Fields festival in Rajasthan. 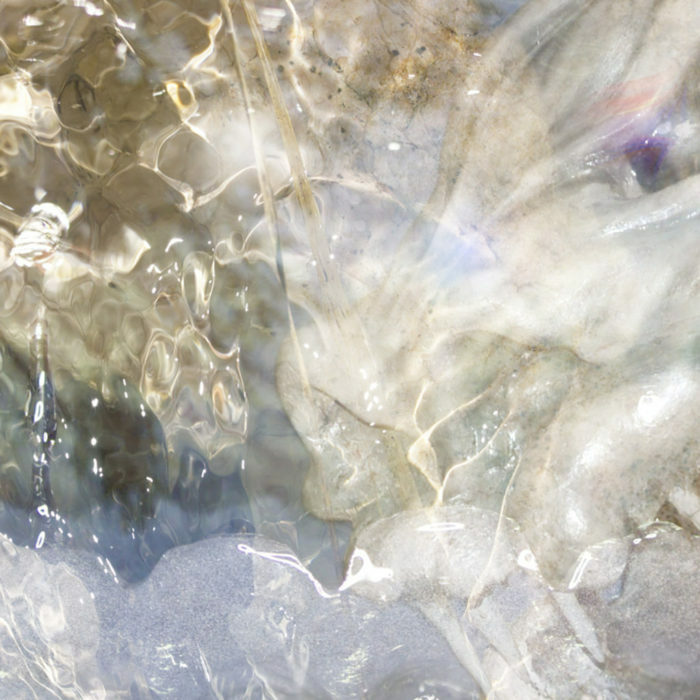 第一场雨 (The first rain) is the fifth track of the EP, and it was released accompanied by a visionary and evocative video of human beings of indefinite gender floating in a matrix. Living as being drunk and dying as dreaming / Living as in trance? 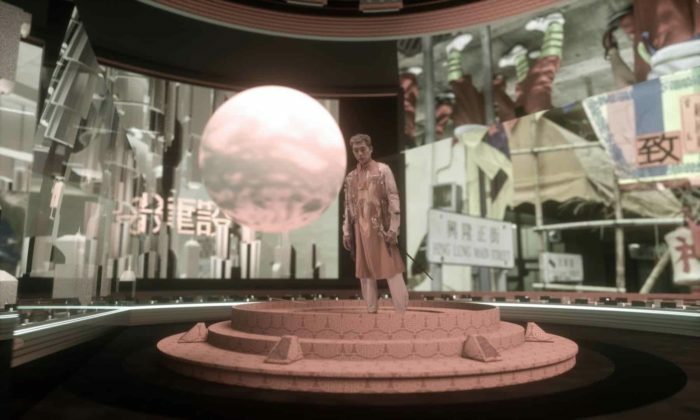 After the EP, on June 9th Howie Lee released the single track 下面给你吃啊 (Here’s what you eat), a grinning and ironic display of Chinese contemporaneity. brand name? / brand name? / brand name? have you seen me down under? Limitations to freedom of expression in China are pressing; reports and facts confirm this everyday. Many Internet services we consider fundamental for our emotional and professional life are forbidden (google, whatsapp, facebook, soundcloud, spotify, etc.). All this doesn’t mean that freedom doesn’t exist. On the contrary, freedom finds its way differently, and the way artists in China find a way to create is the core of that energy and ability to tell stories and give a sound to the world. At that time, history of music was meaningless. Nobody cared about what was new and what was old because everything was new. Nirvana could have produced their albums after the Portishead’s and before the Velvet Underground, for example. 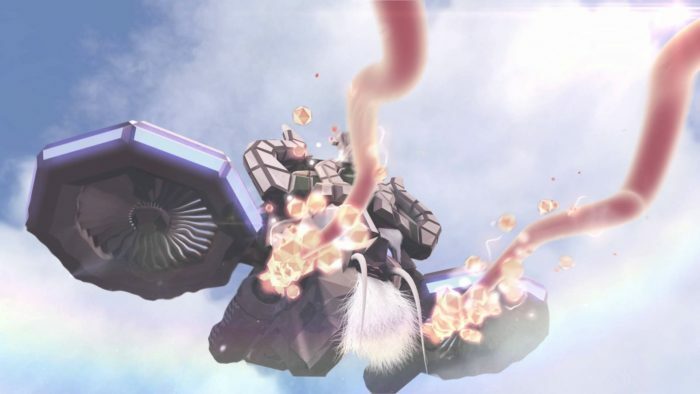 They came from excess stock and deleted titles from western and Japanese majors attempting to avoid taxation and disposal cost. To avoid that the CDs were put back into the market, they were punctured one by one and they arrived in China with a hole. No problem for the hungry Chinese listeners, that discovered the albums with some missing pieces. 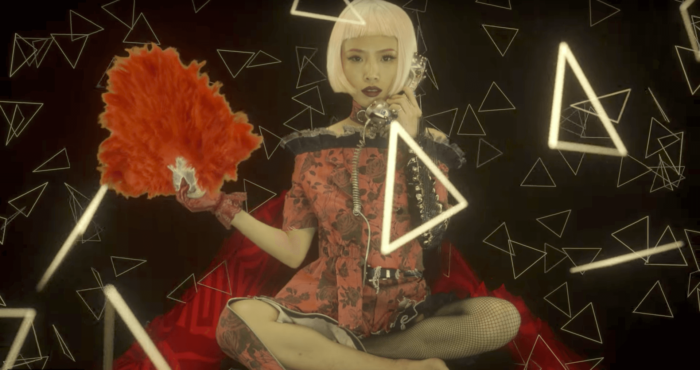 In the last Genomix for Radar Radio, before it shut down, the listener is welcomed by a voice generator, kind of an avatar for Tavi Lee, the commander of a spaceship built in 23 years of life started from Chifeng, where she was born in 1994 on the outskirts of the empire, in the northern and remote Inner Mongolia. Genome 6.66Mbp evokes a universe of mutant shapes, AI, videogames, digital molasses pouring on UK Garage becoming sharp HD tunes for a different human existence. Tavi left her hometown of four million inhabitants in 2016. Driven by the attitude of a restless digger, she started her descent beyond the plateaux which surround the capital. First stop: Beijing. She didn’t stay longer than a month. The city where the power sits could not be her final destination. 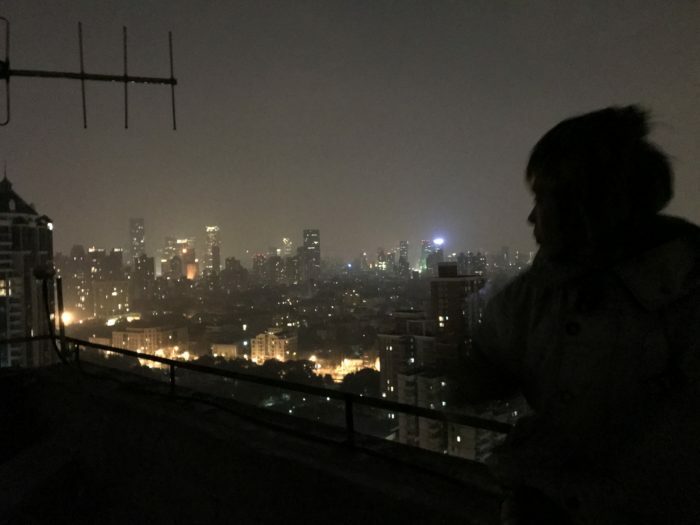 It was summertime when Tavi arrived in Shanghai, where she lives now, and maybe the megalopolis of 24 million people isn’t the culmination of her journey either. Genome Compilation, Vol. 2, Self-Salvation (2018). Cover art by Tavi Lee. Courtesy the artists and Genome 6.66Mbp, Shanghai. Escape from definitions is a way of evading control and even a strategic advantage in a monitored country, and this broad-ranging selection maintains the audience small. Acting as a record label which works as a collector of sounds, more than a producer, in their mixes (with titles of the like Khemist, NAAAH, Shackup, Damacha etc.) and parties you can listen to Oneohtrix Point Never, Haruomi Hosono, Iannis Xenakis and more underground producers such as Organ Tapes, xin, Matteo Vallicelli. “Tavi spends her time browsing Soundcloud, listening to tracks and discovering profiles which have very few followers. Tiny audience, weird sounds.” Shiyong is the third member of Genome 6.66Mbp, and he gives me his perspective while enabling my conversation with Tavi, as I don’t speak Chinese. He is bilingual, he was born and raised in Singapore and met Tavi on Soundcloud. He decided to move to China where he now works as a translator for a videogame company. “In general, around 150 people come to our parties. We had few larger parties where we got around 300 people, but quite often people don’t know what the event is about, they come for the party.” I can’t avoid calculating that out of 24 million people living in Shanghai, we’re referring to a crowd that consists of the 0,0006%. It goes up to 0,006% if we imagine 1500 people is the turnover on a longer time frame. Figures in China are impressive, in every sense. I’m touched by Tavi and I look at her in bewilderment and fascination. I am stunned by the power of her existence, among 7 billion people on earth, among 1 billion and 300 million people in China. Genome is an experience of fracture in China and the limits to mobility and access to the rest of the world can be consuming. For Chinese passport holders it is not easy to travel abroad. Also, China is an unpredictable landscape even for locals. Laws change all of the time, the government has the power to do so and this lack of predictability is besetting. She does not touch any food while her husband Shiyong and I devour three portions of 18 dumplings and a soup made of blood from chopped duck. When the time to pay comes, I have to dare once again and see my counterpart’s jaw drops when I open my leather wallet to pull out cash and cards. This visit from the Middle Ages throw people for a loop; after all, also beggars collect payments through QR code. In China you pay with WeChat, the integrated smartphone system for every human need. As I registered in Italy, I’m not allowed to use the wallet function and to pay with the QRcode. It feels as coming from another era, where everyday routine actions have separate gestures. Paper money to pay, business cards to exchange contacts, different applications to research different contents, find places on a map, several apps to chat depending on the link that binds us to one another (we thoroughly distribute friends, new friends, acquaintances, family, grandparents, freaks and lovers on WhatsApp, Messenger, Telegram, Sms to name the basics), one or more apps for emails, different apps to follow posts with a variable engagement (Instagram, Facebook), different apps for different music (youtube, mixcloud, soundcloud, spotify, bandcamp), the original telephone function. Some people still use the landline phone. WeChat summarizes your needs in a single app, but maybe not all of your differentiated needs are met, although everything about you is there. Your movements, your shopping. How to keep a sphere of independence, where to hide your intimacy, if this means renouncing to an incredible convenience? Here we meet the dilemma of how to dismantle a capitalistic system that allowed a greater quality of life. WeChat’s development “has been subsidized by the government since its creation in 2011, and it’s an accepted reality that officials censor and monitor users… and an initiative is underway to integrate WeChat with China’s electronic ID system.” reports The Verge. With over one billion monthly active users and the potential that a successful Chinese product succeeds in the conquest of the world, I take note that the subject deserves further study. I felt this need and desire, and gratefulness because they shared their secret passages to climb the roofs of the city, we sneaked into a building like ants crawling up the walls while the apocalypse is underway. I felt good on that rooftop. Looking at Shanghai from atop, observing its capitalistic soul lit up by electricity, together with Tavi and Shiyong made me feel relieved. Their post-apocalyptic imagery represents to me the need for radical choices, in terms of music preferences and aesthetics; it shows the instinct for a desperate research, it captures a gaze relentlessly looking far and beyond. I will meet again Tavi and Shiyong at Club ALL in the weekend. It was opened one year ago, after the historical Shelter shut down. Everybody has some nostalgia for the Shelter, it was the real place of the underground, literally underground, where Genome were born and where this crowd of explorers met in the first place. ALL is on the first floor. Energy flows. After the audiovisual live set by Zaliva-D and a trance dj set by Tzusing, it’s time to say goodbye. There is some deep feeling in the air, maybe it is the early hours. I give a hug to Tavi, “We all need to get out of here” sounds like a promise. A heartfelt thanks to Ma Kexin 马 可心 and Martina Renata Prosperi for translating Howie Lee’s lyrics from Chinese. Ilaria Benini works as Asia editor at add editore, independent publishing house based in Torino (Italy). She lived and worked in Yangon, Bangkok and travelled extensively in Asia researching a variety of contemporary art forms.